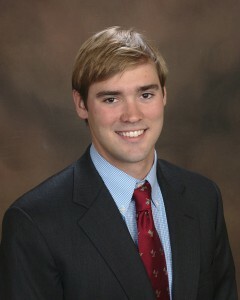 Wade Greene joined the Maestri-Murrell brokerage team in 2012 as a Sales and Leasing Executive. Wade brings with him mortgage servicing experience in loss mitigation and REO property sales, successfully transacting over $1.25MM in subprime non-performing assets. Currently Wade resides in Houston, TX and is a referring agent to Maestri-Murrell. Since 2013, Mr. Greene has successfully handled over $33MM in commercial real estate transactions. In 2014 Wade earned the prestigious CCIM designation, making him one of the youngest professionals in the country to carry the designation. Wade graduated from LSU with a BA/BS in Political Science with a concentration on international economics and politics along with a minor in Business Administration. As an active member in the LSU Real Estate Club he introduced Argus Real Estate Software to the organization and helped integrate the training program into the curriculum. Wade is a member of the Sigma Chi Fraternity and remains actively involved as an alumnus. Wade is an avid outdoorsman and conservationist and active on committees for both The Coastal Conservation Association and Delta Waterfowl.